411 Freebies And More: Get 2 Free Samples of Breathe Right Advanced Strips! 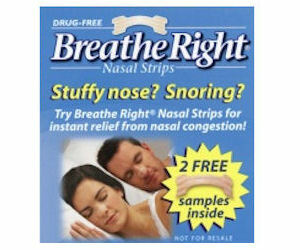 Get 2 Free Samples of Breathe Right Advanced Strips! Click the FREE sample link and fill in the form to sign up for a FREE sample of Breathe Right Advanced Nasal Strips.